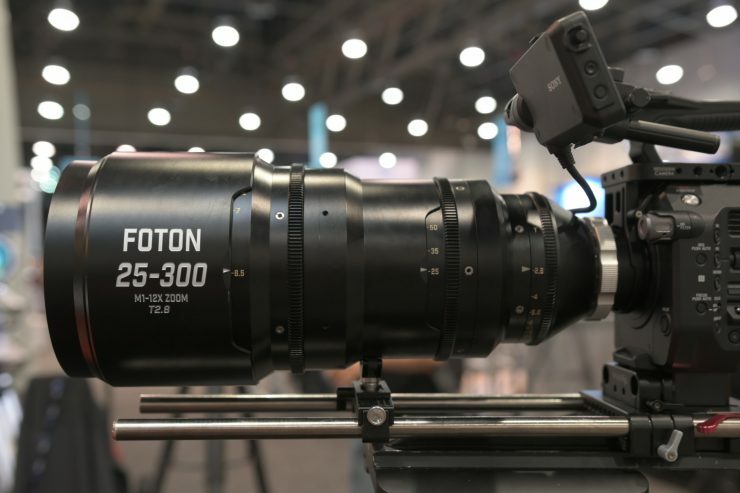 The Foton 25-300mm T2.8 is being targeted as a cheaper alternative to lenses such as the Fujinon ZK12x25 25-300mm T3.5-3.8, Angenieux Optimo Style 25-250mm T3.3, and the Canon CN-E 30-300mm T2.95-3.7. The 25-300mm T2.8 covers Super 35mm sensors and weighs in at 19.8lb (8.98kg). The company told me that the lens is supposed to have a “vintage look“. I had a play with the Foton Optics M1 25-300mm T2.8 on the show floor and the company clearly still needs to put a lot more development into this lens. The mechanics were not up to scratch for a cine zoom and the image while not bad, was nothing special. 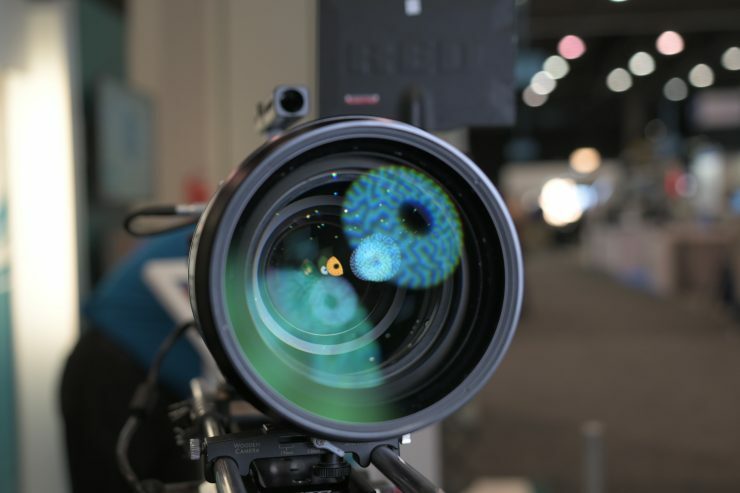 I know this is still an early version of the lens, but if you are going to show a product on the show floor to garner interest, it needs to be up to scratch. 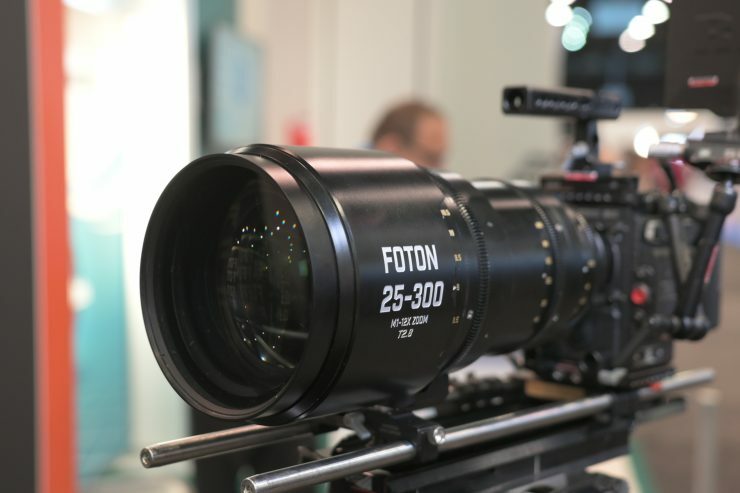 Foton Optics is not planning on shipping the lens till early in 2020 and they are targeting a price of $22,000 USD. 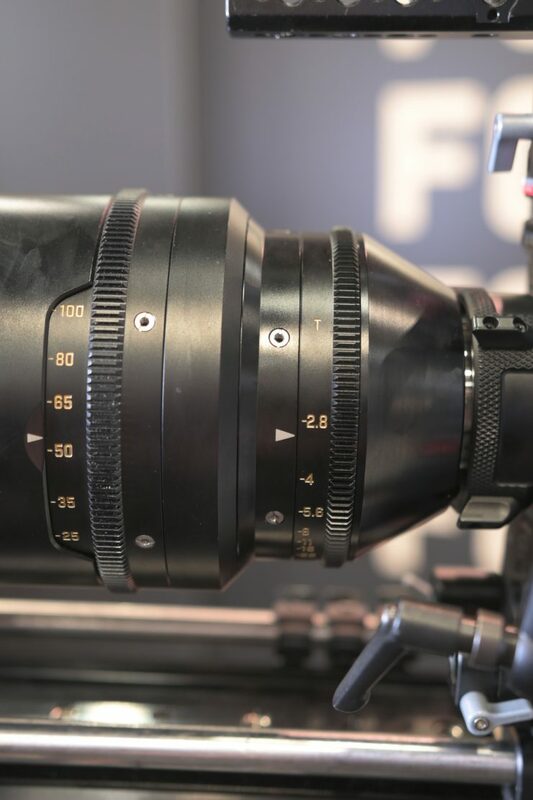 While that price is considerably cheaper than offerings from the big manufacturers, I can’t see many, if any, rental houses or owner operators purchasing this lens. Hopefully the lens will be improved before it is released.